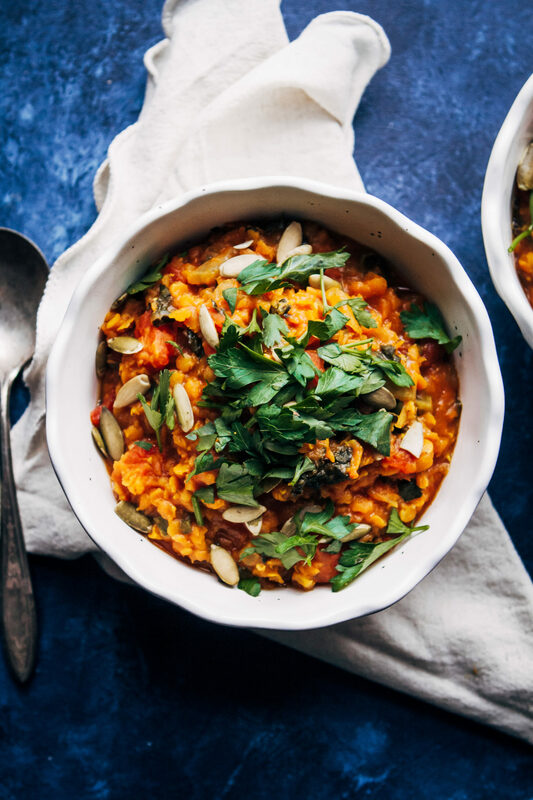 This Vegan Red Lentil Detox Soup is comforting and nourishing, made with warming spices like turmeric and cayenne! One of my 2019 was to put in effort to mix things up in the kitchen more. I tend to cook the same thing over and over, always going for flavors and recipes I know I already like. But in doing so, I’ve closed myself off to other foods that I may enjoy just as much! For example, I went to a restaurant in Boston that had a green goddess ranch dressing. I like ranch so I thought it was a safe bet. Turns out the dressing was loaded with dill, and herb I thought I hated! But I ended up loving the dressing, and will even be posting a copycat recipe up here on the blog soon! It just goes to show that you never know when you may stumble upon a new favorite. Something I’m working on in my life, not just culinarily, is stepping outside of my comfort zone. I currently see a psychologist to work through some of the issues of anxiety I’ve dealt with over the past few years. The reason I’m admitting this online is because there is absolutely ZERO shame in seeing a doctor or therapist for mental health reasons. Sometimes there’s things in life that we can’t handle alone. Seeing a mental health professional can be life changing, as it has been for me. With my doctor I’ve been working on certain behavioral techniques to reduce stress and mitigate anxiety. In doing so, I’ve learned a lot about myself and the ways I’ve been handling my anxiety. There is a psychological phenomenon called experiential avoidance, which occurs when you avoid doing certain things in fear that you will experience anxiety. Learning about experiential avoidance was eye-opening for me, because I realized I do it all the time. I’ll avoid seeing my friends our leaving the house all the time because of my anxiety. In doing so, I’ve trapped myself in a box that’s becoming increasingly difficult to get out of. 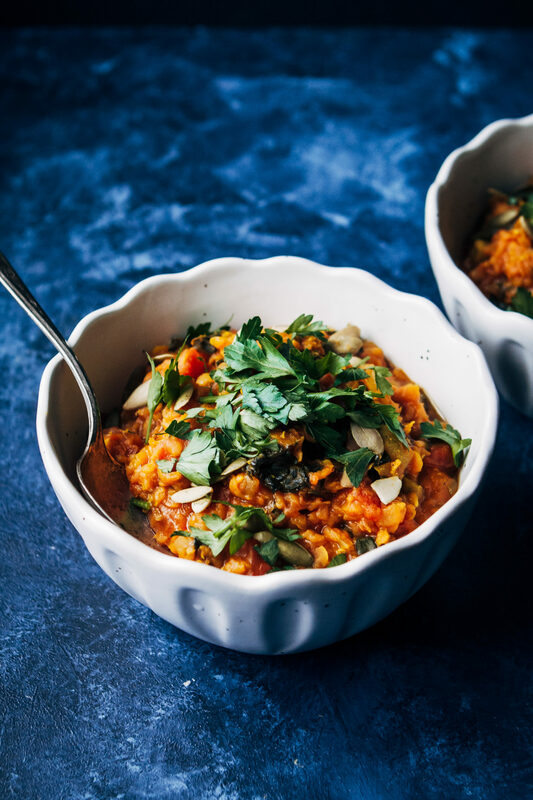 This vegan red lentil detox soup is comforting and nourishing, made with warming spices like turmeric and cayenne. Bring a drizzle of neutral vegetable oil (like avocado) to medium heat in a pot. Add in the diced onion, and sauté for about 5-7 minutes, or until onion is softened. Then, add in the garlic, and sauté for another 30 seconds, or until fragrant. Then, add in the kale and sauté for another minute, until kale is softened. Then add in all other soup ingredients and stir well until everything is combined. Simmer soup for about 15-20 minutes, or until red lentils are completely soft. Serve with fresh parsley and pumpkin seeds, if you'd like. Looks great! I posted about a Lentil Soup today, too! Soup twins!! ;) Lentils are so cozy and delicious in winter! 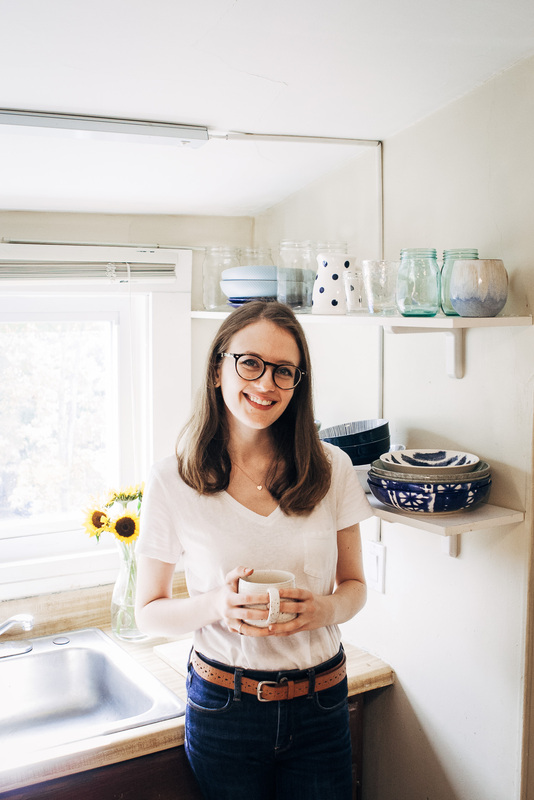 I really appreciate the head note, as I am starting to purposefully not include recipes with the word “detox” and “clean” in my pins and my blog’s meal plans. If you use the term detox to mean “fresh start”, why not call it Fresh Start Lentil Soup? Or “Reset” or something of that nature? I know I would prefer to share a recipe with those terms in the name over “detox”. 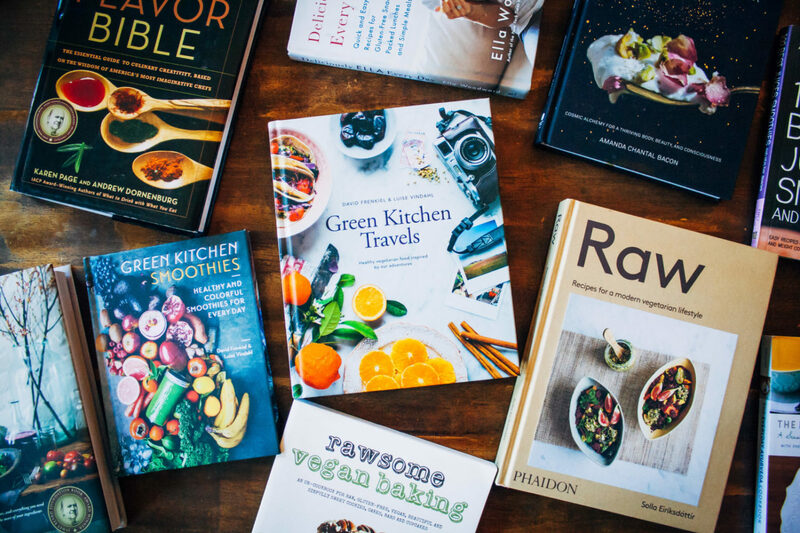 Just a thought – thanks for sharing your wonderful recipes with us. Hi there, thank you for your thoughtful note. I like using the word detox because it has positive connotations – starting over, making a healthy change, effecting a positive impact on your life. I recognize that the word has been co-opted by a certain subset of the wellness community to mean “diet” or “juice cleanse”. But in using the word detox in my recipes, I’m trying to take it back and educate people on what it really means. In doing so, I’m hoping I can help people understand that true detoxification happens in the body already, no juice cleanses required :) I hope this answers your question! Hi Katya, thank you so much for your kind note! Anxiety can be really difficult to deal with, and it affects many people in different ways. Recognizing things that trigger anxiety is such a crucial step towards healing! I wish you the absolute best on your mental health journey as well :) Hugs! soup looks delicious I will be making it. p.s. I am also from Conn.
it is very cold. Pat. 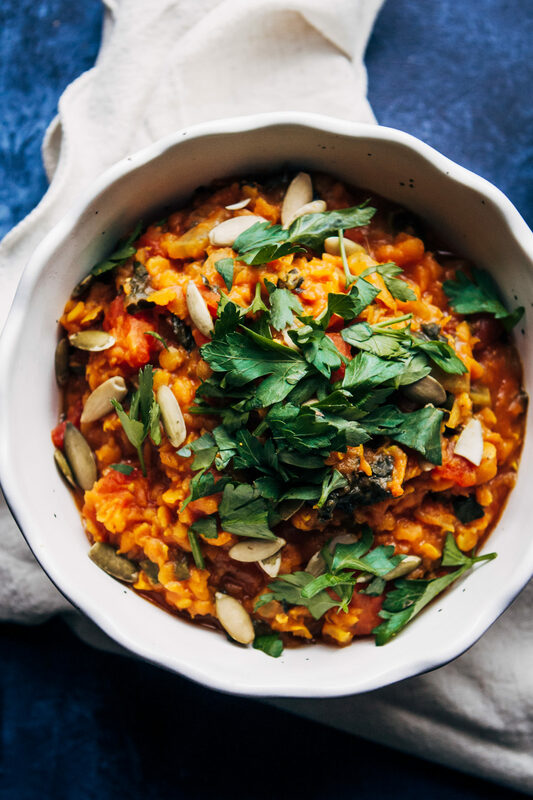 I LOVE red lentils and can’t wait to make this soup!